Custom mobile app development can help real estate agents and brokers confidently attract clients. You may be well-versed in all things real estate, but when it comes to technology, it’s probably best to leave mobile app development to the professionals. 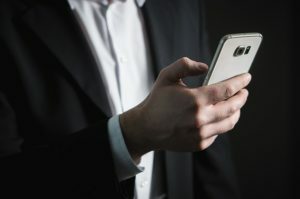 Because people are spending more time on their mobile phones, apps have turned out to be a crucial tool for real estate agents, who are constantly looking to expand their reach. Mobile app development helps you do that. To some extent, everyone likes to feel like they’re in control of something. Especially for real estate agents and brokers, having control over your business and the information you release to your clients is essential. With mobile app development, you’re given complete control over the content your clients and your potential clients see. A dedicatedly designed mobile app for real estate can offer clients desired interactivity. It can deliver great user experience to people looking for properties at home and abroad. From walking through potential units to traveling around a finished complex, a mobile app can help clients interactively visit sites from the comfort of their couch. Additionally, clients living aboard and looking for real estate have the ability to tour homes virtually, get specs, and ask questions without having to be on-site in person. A mobile app professionally designed by a reputable mobile app developer can yield the “wow” factor that attracts new clients. Reaching far beyond traditional desktop or mobile websites, a mobile app developed by an expert offers exponentially more for both you and your client. If there’s one thing potential clients hate it’s having to search for information that should be readily available. A custom mobile app can let real estate agents connect foreign homebuyers using translation technology, allowing easy communication in the person’s “home” language (if they don’t speak English). Localization features can possibly be added for the properties that are open for the foreign investment. This entry was posted in custom mobile app development, Mobile App Development, real estate mobile apps and tagged custom mobile app development, mobile app development, real estate mobile apps. Bookmark the permalink. ← Want A Technology Tip For Your Real Estate Business?